The Emirates A380-800 – what a bird! | A balanced diet . . . The Emirates A380-800 – what a bird! The Airbus A380-800. 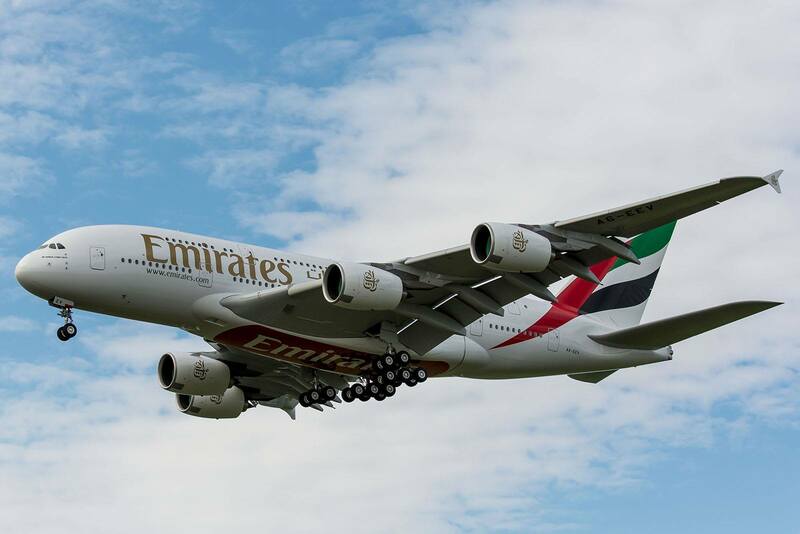 Emirates Airlines (EK) now has 53 of these magnificent aircraft in its fleet. That’s almost three times the number flown by the next airline on the A380 list, Singapore Airlines. Twelve airlines now fly the A380, and Emirates operates more than one third of all the aircraft delivered so far (October 2014). I’ve been lucky to fly the EK A380 four times now, between Dubai (DXB) and Bangkok (BKK). In 2010, when I was on my way to Hanoi, I flew there via BKK. Due to a mix-up on seating – someone else had also been assigned my seat 7K on the Business Class upper deck – I was upgraded to First Class. Very nice! Over the past 18 months, I’ve made four trips to Thailand and the Philippines on business, and on three of these I’ve flown the A380 into or out of BKK. I used air miles for an upgrade in 2013, flew Business Class two weeks ago, but last Monday (3 November) I once again used air miles that were about to expire to upgrade to First Class. And I was treated to a very special experience – the only passenger in First Class. One of the cabin crew joked that if I nodded off, someone would wake me up so I could enjoy the renowned Emirates A380 First Class service to the full. Since the weather in Bangkok was very hot and humid, I decided to travel in comfortable clothes – although my decision to wear shorts caused consternation among one or two people I know on Facebook. So what’s so special about the A380-800, and Emirates on board service in particular? Well, first of all, everything about the A380 is huge. Yet when I see it alongside a Boeing 747 for example, it looks smaller. Must be an optical illusion, because it wider, taller, longer – just bigger in every way than the 747. In the Emirates configuration, the whole of the upper deck is First Class and Business Class, but with just 16 suites in First at the front of the aircraft. There are also two spas on either side of the fuselage, just above but behind the flight deck. More of those later. On my flight to Bangkok, Business Class was more than three quarters full, and everyone settled down to sleep very quickly as the flight departed Dubai just after 03:00. On the return from Bangkok, there were only about 20 passengers in Business Class, though the lower deck Economy Class was heaving with more than 400 passengers! The seating configuration in Business Class is 1-2-1, but in Economy it’s 3-4-3. There are stairs at the front and rear of the aircraft. The front stairs lead directly into the First Class cabin, and are ‘roped’ off. In many airports there is an upper deck airbridge, so the stairs are perhaps not used that much. There is another curved stairway at the rear of the aircraft leading down from the Business Class galley. One of the signature features of the upper deck is the rear bar and lounge where passengers can gather to relax and chat, and are served a wide range of beverages and snacks. But the feature that really sets the EK380-800 apart from the aircraft of other A380 operators are the two spas either side of the stairs leading down to the lower deck at the front of the First Class cabin. It’s quite an experience to take a shower – 5 minutes only please – flying at around 12,000 m and 0.85 Mach or so. Food-wise, dining on Emirates is always a pleasure. But in First Class it’s something else. To begin with, it’s an À la carte menu – and what a choice. I had the caviar, salmon, and the passion fruit terrine, accompanied by a very classy Pouilly Fuissé, and followed by a fine Hennessy Paradis cognac (decades old). Finally, on all Emirates flights and in all cabins there is plenty to keep yourself amused on the entertainment channels. Hundreds of films, thousands of music tracks. 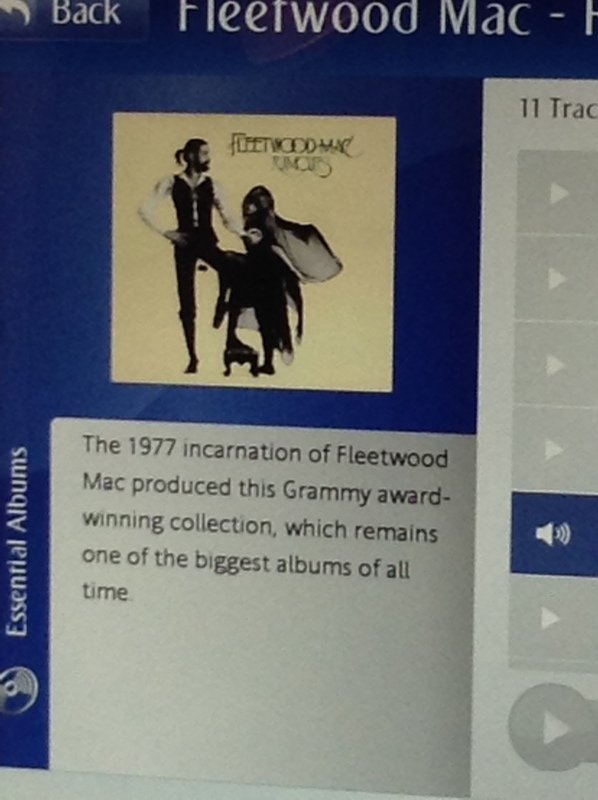 But I always gravitate towards to the 100 Essential Albums channel. Guess what I was listening to? Then there’s the air channel of course where you can follow the progress of the flight and, as with all aircraft operated by Emirates, there is a forward camera in the nose (excellent for the take-off and landing) or a downward camera (great to watch the landscape pass by on a cloudless day). But the A380 has something else – a camera in the tail fin. So here is a short video showing our landing at BKK on EK384 just after midday on Saturday 25 October, followed by the take-off on EK375 on Monday 3 November at 09:35. 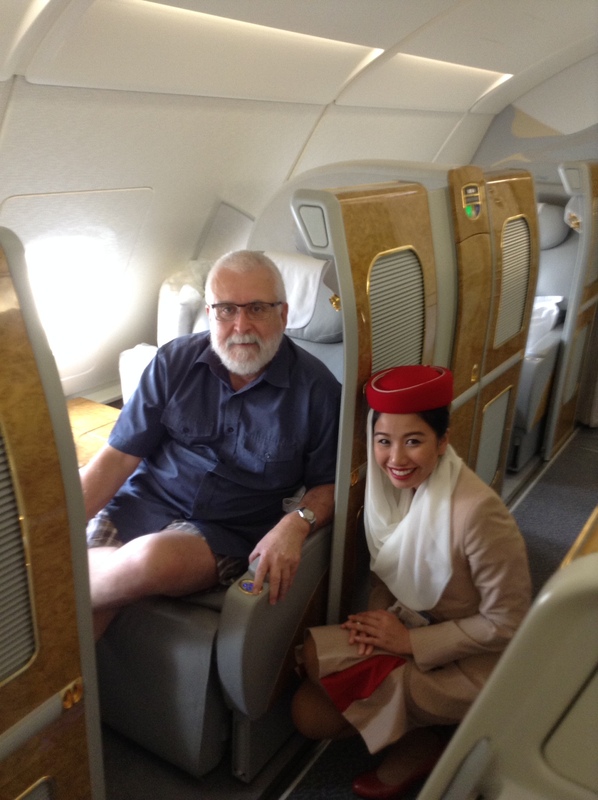 All in all, quite an experience to fly the Emirates A380-800. 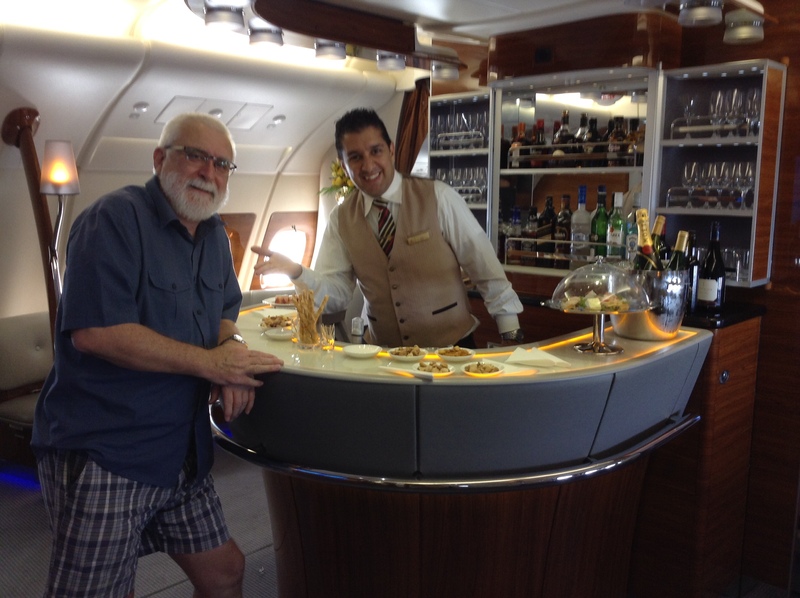 This entry was posted in Travel and tagged A380-800, Bangkok, BHX, BKK, Dubai, DXB, Emirates Airlines. Been invited to Hong Kong in February. Wonder if I can get an upgrade from Business to First?